The suicide bomb that could have­—and probably should have—killed 1st Lt. Victor Prato on November 13, 2017 blew the doors off a 20-ton armored vehicle, sent the hood 300 meters, and ejected the lieutenant, sending his helmet plus facial and ear protections flying. Having been rammed on the side by a civilian’s truck wired with an estimated 600-pound explosive, the vehicle rolled over twice and landed partially on the soldier, hanging over the edge of a 20-foot-deep drainage ditch on the side of an Afghanistan road. “For a second, I didn’t see anybody, hear anything,” recalls Prato. “I remember the car was running and on fire and I knew that was bad because there is all kinds of ammunition inside that will light. You’ve got to get out as soon as you can. “I had not blacked out for long. I didn’t feel any pain so I thought maybe I was dead and having an out-of-body experience. I tried to call for help and because the roof of the car still was kind of on my chest. I couldn’t make any sound. “Then I saw the head of one of my sergeants, Joshua Sears, pop up over the roof. He said later that he saw my head sticking out so he started calling for a medic. Our specialist, Doc (Garrett) Young, ran over and tried to calm me down. Sargent Mark Andrisek coordinated the extinguishing of the fires and sweeping of the landing zone for any possible secondary explosive devices, so that the incoming Medevac helicopter could land safely. Mechanics used a recovery vehicle’s boom to carefully lift the truck’s body off Prato. Doctor Young held the lieutenant’s spine in place while he was being dragged away from the wreckage on his body armor. Another soldier stuffed gauze into a gaping wound in Prato’s head before the helicopter arrived to whisk the injured back to a field hospital in Kandahar. “I couldn’t move so one of the first things I asked the Doc was ‘Is everything still down there?’ recalls Prato. “He did a check of all the important parts and said I was good to go. “I kind of relaxed and closed my eyes after that. With electrical tape, he attached this like lollipop, with painkiller, into my mouth. Even though I wasn’t feeling anything I knew I would soon. So it was a blessing we had that. Private Kimkirvie Mapaye, the driver, whose side of the truck had taken a direct hit, also was receiving emergency medical treatment for severe burns. The two soldiers in the backseat miraculously suffered no serious injuries. The suicide bomber had fulfilled his mission, his body parts littering the scene. Prato had just taken over as the leader of the platoon, the mission of which was to make safe the road for infantry units following about ten minutes behind. The men and women under his command were performing admirably, just as they had been trained. Thirty-two minutes after the bombing, they were in Kandahar, where Prato’s gaping head wound was stitched and his vitals stabilized. He was flown to Bagram Air Base, the largest the military maintains in Afghanistan, where Dr. Kirk relieved the immediate stress on the patient’s all-but severed spine. Janet and Greg Prato received the call every military parent dreads early in the morning on Nov. 13, at their home in Somers, NY. Greg, a compliance director at AXA Equitable, answered in his office. It was Victor’s high school football buddy John Crowley, a West Point-commissioned lieutenant who, by great chance, was a member of Prato’s 127 Engineering Battalion. “They thought it would be helpful if the call came from somebody we knew,” recalls Greg. “And also on the line was Danielle Villanueva, the company commander. She took over explaining injuries to the C-6 and C-7 vertebrae and lacerations in the head. Victor was not all right. The surgeon in Bagram did remarkable work to straighten Prato’s spine by hand, stabilizing it for more extensive surgery after Prato was quickly relayed to Landstuhl Regional Medical Center in Germany. But while the lieutenant was being turned on the table there so six vertebrae could be fused in his back, the monitor went flat for seven minutes before they were able to restart his heart. The Pratos arrived three days after the attack, not before they had been briefed on their son’s condition. This was no preparation, however, for what they saw walking into his room. “From the front of his ear line to the back of his neck was sliced right down to the bone in two different directions,” recalls Greg. “His legs were spread apart; his legs and arms were so swollen you couldn’t make out the knuckles or his toes. “There were tubes and wires coming out of him almost everywhere. Thirteen different medications were going into his body. There were blotches on his skin and his eyes were closed. With the tube down his throat, he could communicate only by pointing to letters on a board. On the flight to Walter Reed, Prato developed pneumonia, suffered a 103-degree temperature and a collapsed lung. Through every harrowing crisis, he rallied thanks to the best of care and his parents as his greatest advocates. When the visions and nightmares were so vivid and upsetting they made Prato afraid to go to sleep, Dad would spend the night, reading psalms at bedside, praying for his son to get some rest. But for weeks the best friend Victor had was Fentanyl. “Whether it was the drugs or I had a blunted emotional response, I was at Walter Reed for a month-and-a-half before it emotionally hit me that I couldn’t walk,” he said. But there was hope. The damage occurred low enough on the spinal column that Victor could breathe on his own. 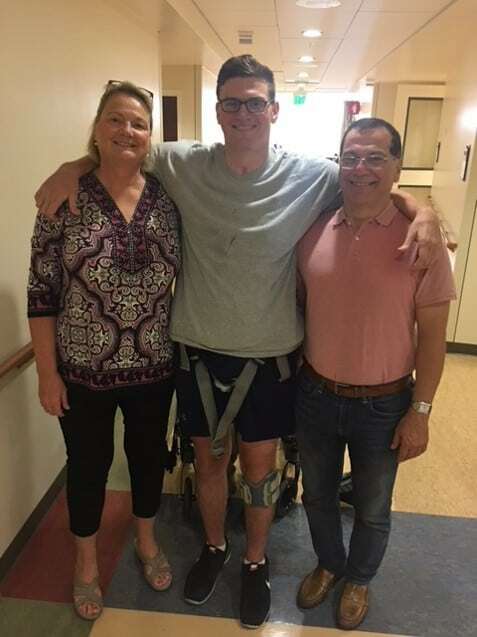 Had the cord been completely severed, Prato’s only hope of walking again would have been in research for a cure for paralysis. Rehab promised progress, even though nobody knew how much was feasible. Hope being the greatest of things, the lieutenant didn’t need pep talks. “I had already seen that the more difficult the situation, the better my son responds,” said Greg. “Like with ROTC, football and engineering at Princeton, Victor would get into the situations where he had almost taken on too much but that would fire the drive in him and he would excel. When somebody who had suffered a comparable injury and spent three years angry at the world came by Walter Reed to lecture Prato on the power of positive thinking, the visitor instead left awed by the lieutenant’s attitude. “Victor will tell you he went to Afghanistan and it was a blast,” says Janet. On December 27, at James A. Haley Veterans Hospital in Tampa, one of three VA rehab facilities in the country, one of the hardest workers Princeton football has ever enjoyed began the hardest work of his, for five exhausting days a week. “It was still difficult to deal with the reality and adjust to the new circumstances,” Prato says. “But from the time I woke up at Walter Reed, it never really was an option to give up. “I had very much a never-quit mentality from the Army and football, so that didn’t really occur to me. It’s hard, though, because a spinal cord injury drops your blood pressure, makes even sitting up very nauseating. It’s a terrible feeling, like getting sick at the end of a marathon, even though all you are doing is sitting in your chair. And if you can’t sit up, you can’t really work on anything. “I just focused on strengthening whatever I could. That was much less stressful than setting a goal such as walking. Like with ROTC, football and engineering, when they took too much time to excel at all three, I finally accepted that I was just going to work as hard as I could. That was much easier than to keep expecting to walk again or to get back to a specific point. “That way, there is no disappointment. You don’t have to worry about failure. If you work and work and never start moving your legs again, then it never was up to you. That helped me when there was no positive feedback at first, when I would try to just move a toe and it wasn’t moving. One of two treadmills he works on while wearing a harness is underwater to reduce the weight on his legs, which now, blessedly, are moving. “Pretty sure all the muscles are functioning,” said Victor. “Some are better than others, like I think my quads fire more than my hamstrings. “Some of them, like my hip flexors, get very tired. I start to drag my feet a little bit. But I have done as much as a 45-minute session on the suspended treadmill, and then another 15 minutes after that in the hall. “At first I was using a walker, one of those four-legged things with my hands on them like parallel bars. Then they realized I was putting more weight than I had to on the walker so they took that away from me. “I still have a kind of a harness around my hips that I hold onto in case my knees buckle. That’s the only thing that holds me back from walking by myself—the potential for one of my knees buckling. You have to put your weight on your right leg to move your left and that’s a little harder for me still. My sense of balance isn’t as good but also the motor signal going to the muscle in my foot that helps give balance isn’t as quick. His left hand has almost full function, just tires easily. His right hand is at about 30 per cent, giving him hope of getting back to weight work, as part of his frustration has been the inability to do physical activities that once helped him relieve anxiety. “Lifting now seems a reasonable goal to me,” he said. Prato can push himself up from the bed to wheelchair, transfer from the bed to the chair, and get into a car. He told his parents it was time for him to be on his own, so they went home from Tampa on May 4, and, for weekends, he moved into an apartment shared with a roommate. By the end of June, Prato should be rehabbing as an outpatient. “Typically, the first three months show the most improvement,” said Dr. Samantha Mendelson, the physiatrist in charge of Prato’s care at Haley. “And then, at two years, there is usually a plateau, but I have seen people continue to push themselves and make smaller, but still steady, gains. “He is already walking with a walker in his room and in therapy. So I think within a couple years he should be able to go a good distance, maybe with some bracing, maybe with nothing. He might need a wheelchair for long distances, like in an airport. But day-to-day, he might get by with a cane. “His progress is remarkable. He’s gone from just moving his arms a little bit in the bed to walking with a walker for hundreds of feet and being pretty much independent with all his care. This is not surprising to Dad. “I had the feeling this kid was going to break some kind of record,” said Greg. It has been a brutal, draining, grind of waking up from sweet dreams in which Prato is walking again unaided, jolted back to his new reality. Not an easy way to start the day. New research into posttraumatic stress disorder that was reported in a recent piece on 60 Minutes suggests that the syndrome is not psychological, but can be due to brain damage caused by blasts. “Down the road, we have to watch for it,” said Janet. Leaving the hospital will be a great triumph. But it will not end this episode in Prato’s life. “I don’t think it ever leaves you,” says Dad. “I had a tragic motorcycle accident when I was 17; my friend riding on the back was killed when we were thrown and he hit his head on a fence. In turn, making it easier on Victor has been the outpouring of caring in letters and Facebook messages (post at Cheering On Victor(y); plus phone calls and visits. Princeton coaches Steve Verbit and Mike Willis, the latter a contemporary of Prato, went to Walter Reed in February not knowing what to expect and came away lifted, like everybody. Not long ago, Willis was surprised and delighted by a morning call from Prato. 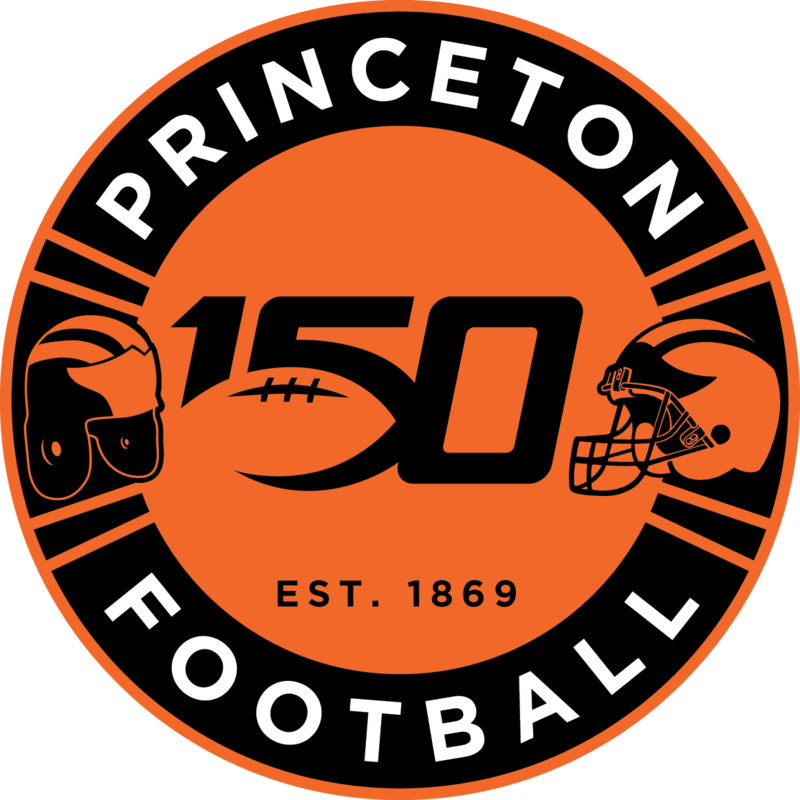 It’s good, says Victor, to have a contemporary from Princeton football now coaching there, as it helps to keep the program personal to him now that the guys he played with have graduated. It’s good, says Willis in turn, to know someone who always inspired him has taken his esteem to another level. We all need heroes. “We talked for almost two hours about his recovery, leadership, a lot of things,” said Willis. “”Now that I am coaching—behind the curtain, so to speak—he had probing questions about what we do and was curious about motivational techniques. At Walter Reed, President Donald Trump pinned Prato with his Purple Heart. There was a parade of Army brass to his bedside. Secretary of Defense James Mattis, a retired general, pulled up a chair and stayed for an hour. So will being at Princeton reunions this weekend, only six months after the bombing. He has come a long way, and medical advances may help him complete a recovery. “I have read a lot and they are working on some very interesting stuff,” he said. “The Christopher Reeves Foundation is doing a big push on something called epidural stimulation, where you put an impulse on the lower half of your spine to wake up the rest of it. Less than one year away, probably, is the lieutenant’s medical discharge. “When I deployed, I didn’t really think I would be looking for a job in a year,” Prato said. So he still is thinking, for now, about moving back to the Northeast and going back to school for an MBA. The other two soldiers in the vehicle, sitting in the back seat, were back at work after a week. Fortunes of war. Prato doesn’t spend time questioning his luck or decision to join the military. A long-term injury suffered, say, in a car accident or a terrible diagnosis of a debilitating health problem, can seem senseless to those who suffer them. Why me? But what happened to the lieutenant, he feels, was not random, but his choice. “I knew what could happen when I signed,” he said. “I didn’t think it would happen to me but I have accepted it. “I’m told now the new procedure in Afghanistan is to tell civilians to turn around and go back, not to make room for them on the road like we did that day. But we did everything that we were allowed to do at that time. It was just an unfortunate situation that we were in. I’m not mad at anybody in our platoon. They did a fantastic job. “A lot of soldiers deal with war by dehumanizing the enemy. But I didn’t want to do that because then you start to underestimate him. “We live in the information age, when you go on your phone and can get five different views of the same event to make sure that whoever you are reading isn’t lying. That doesn’t exist in those countries where they are having these insurgencies. That is part of the issue we are having in dealing with them. “I’m painting a bleak picture. But the reality is that they probably honestly think the US is invading their country, not that we are there trying to stop terrorists who attacked us and want to again. That’s not how these people think. “Honestly, there are a lot of things they do that are inexcusable. I don’t think that killing innocent people for their political gain is defensible in any way. But the guy who did this to me most likely was not a religious zealot like the guys higher up in the ladder. It probably was some poor farmer who was told they would murder his whole family if he didn’t do what he did, or that if he did it, they would take care of his family. “Not fully realizing what was happening before he hit us, I remember looking into his eyes. It was a pretty dead, expressionless, face; it wasn’t like there was any anger on it. He probably was on opium or something. In March, when Prato’s platoon came home from its nine-month tour, he was at Fort Bragg, N.C. to greet the men coming off the plane. Included was Dr. Garrett Young, who was the first of many who saved Lieutenant Prato’s life. Nobody knows this soldier better than his parents, who believe that ultimately their son will pay all his debts forward. “He felt he would be protecting his country for the better part of his career,” said Greg Prato. “And now that that job trail has been eliminated for him, I think he is going to wind up doing something to help people who have the kind of injury that he has. “Somewhere, someday, he will use his engineering skills and a masters in business and call his own ticket to make a difference on a broad scale.